Get lifetime access to eduCBA's massive library of courses and prove it’s never too late to start a new career. How many times have you thought about the things you wished you learned earlier in life? Here’s your chance to stop thinking about it and start doing it. 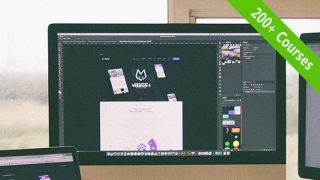 The eduCBA Design and Multimedia Lifetime Subscription Bundle has the courses you need to pick up new skills, and you can get a lifetime subscription on sale now for 97 per cent off. When you login to eduCBA Design and Multimedia Lifetime Subscription Bundle, you’ll find hundreds of courses with actionable lessons waiting for you – and new ones are being added all the time. You’ll have unlimited access to more than 200 courses that will take you through tons of media and design essentials. Learn how to work with Photoshop, InDesign, Maya, Flash and much more. You'll have the ability to learn at your own speed and gain new skills. The eduCBA Design and Multimedia Lifetime Subscription Bundle usually retails for $797, but you’ll pay just $19 (approx. £14). That’s a saving of 97 per cent – a great deal for unlimited access to skills that could change your career!